The Congress Centre is a flexible venue, with many talents. It combines bright modern spaces and the latest AV tech in a building featuring classic mid-century modern style accents. You might recognise the Congress Centre. It is beloved by TV and Film companies looking to capture the feel of the 50s. 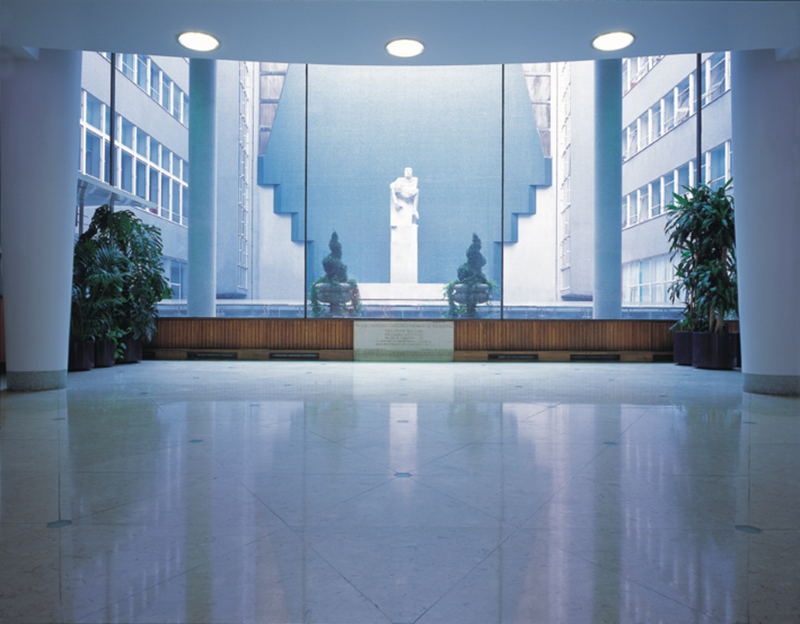 The Congress Centre is architecturally renowned as one of the finest period examples in central London. Mixed in with the high-tech equipment, you’ll find quirky hallmarks of 50s design sensibility. The unusual funky style of many of the venue’s fittings is enjoying a resurgence in trend including an original staircase, lovingly restored wood panelling and light fittings. The quirky features don’t stop there, the Congress Hall features a stunning glazed space-frame ceiling that fills the space with natural light while guests arriving at the Marble hall will enjoy ascending a sweeping marble staircase. The Marble hall itself enjoys high-ceilings and floor to ceiling windows that provide a sweeping view of the central courtyard. Perhaps our favourite retro accent is the lifts, complete with their original fittings. While the Congress Centre certainly has some cool retro flair, it’s far from old-fashioned. The 50’s modernist style gives the spaces a great open feel. The flexible rooms offer great flexibility for a range of events. What’s more, Congress Hall’s rooms provide high-tech AV solutions. From the screens in meeting rooms to Congress Hall’s stage, all the equipment is easy to use and ready for guests to just plug in and go for perfect presentations without the tech hassle. The Congress Hall is the Centre’s largest event space and one of only a handful of purpose-built venues with such a central location capable of hosting 500 delegates in a theatre-style arrangement. Suited to hosting everything from fashion shows to conferences and AGMs, the hall has a long history of excellence. 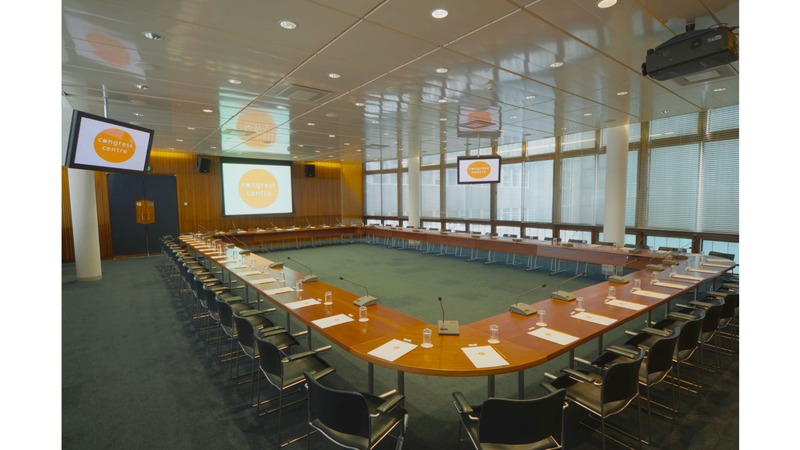 Alongside the Congress Hall for larger events, there are numerous premium meeting and boardroom spaces. Each one benefits from great AV support and there are a range of rooms to suit every need, including lecture and boardroom style spaces. Alongside the retro-quirkiness of the Congress Centre's flexible spaces, the events team take service seriously. Thanks to serious attention to detail and dedication to providing guests with support and ensuring satisfaction has meant they regularly see the same clients returning for events. When the Elizabeth line opens later this year, the venue will be just 30 minutes from Heathrow. 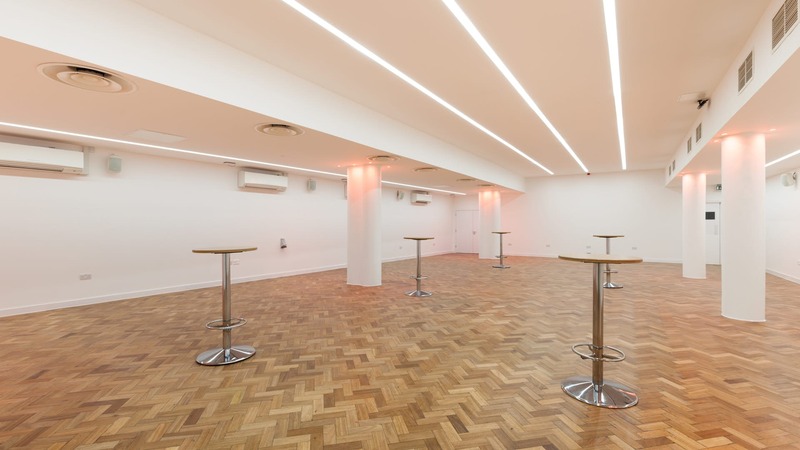 On top of the already convenient Central London transport links being just 2 minutes from Tottenham Court Road, this will make the Congress Centre an even more convenient venue for those travelling within and into London. The Congress Centre is an excellent choice for a range of events and has hosted clients that include Apple, Barclays, Coca-Cola, John Lewis, Microsoft and Yahoo! The next time you’re looking to book a premium event space, enquire at the Congress Centre.